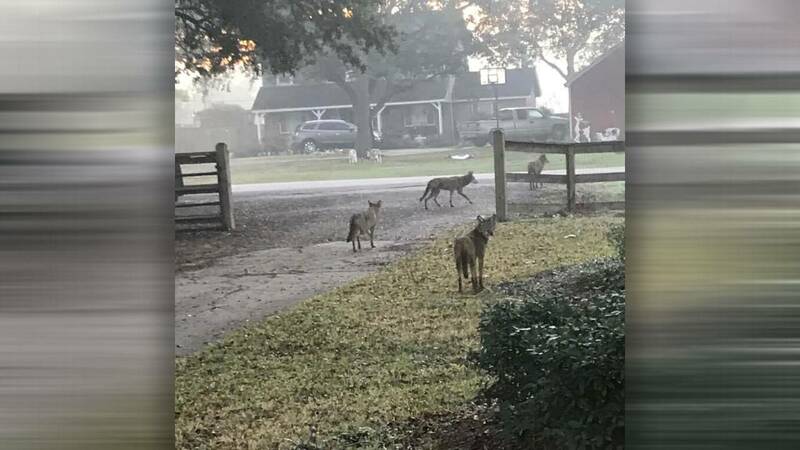 A resident snapped this picture of coyotes in a Pearland neighborhood. PEARLAND, Texas - Residents in a Pearland neighborhood are on alert after a pack of coyotes was spotted. The animals were seen in front of a home near Dixie Farm Road and Westfield Lane. Neighbors snapped a picture of four of the animals roaming the streets. A resident said his relatives have lived in that neighborhood for years, but that they've only just recently seen the coyotes.